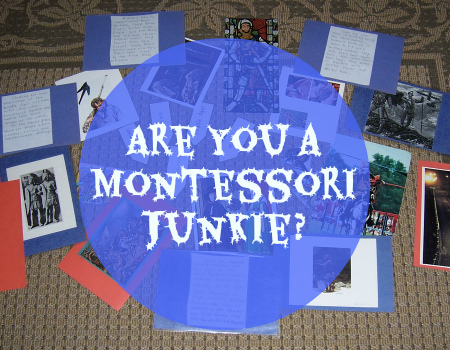 Are You a Montessori Junkie? Do you spend more than one hour a day surfing the Internet for you next Montessori fix? Have you bought several Montessori-related book this month on Amazon? Perhaps you wander around the dozens and dozens of Montessori blogs reading posts, downloading activities, or making comments. It started when I was twenty-three years old and I observed my first Montessori school, then sat in on a Montessori training class. From that early age (I'm nearing 50 as I write this post! ), I was hooked. I spent the next three years taking my primary and elementary Montessori training courses, and the next twenty years in Montessori classrooms, not-to-mention the past fifteen years doing just-about-everything Montessori on the Internet. And if that wasn't enough, I published two Montessori books on Amazon Kindle! 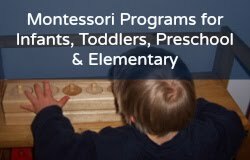 You may also be interested in my affordable online Montessori and homeschool PDFs and programs for birth to age nine at Montessori for the Earth.